Item#: P8342 Closeout! Price Drop! 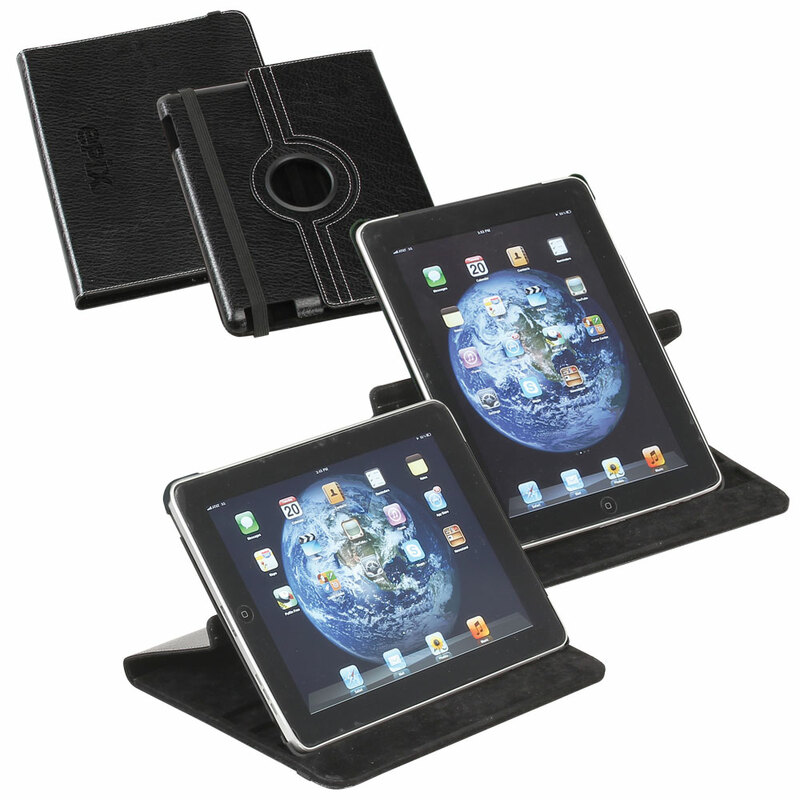 This sleek iPad case comes beautifully finished in bonded leather along with a hard plastic shell for your iPad. With a hard plastic shell designed with 360 degree rotational capability along with 3 grooves on the backside allowing the iPad to lock into three different viewing positions. This case can easily switch from a vertical viewing position to a comfortable horizontal typing position. This minimalist design allows your iPad to maintain its sleek design while being fully protected. This case fits iPad 3rd gen & iPad 4th gen. Pack Info. : 20 pcs / 22.00 lbs. Pack Note: (Actual Weight) / 18" x 13" x 12"